Though it admittedly can be a bit of a tourist trap, Granville Island is still one of my favourite places to spend a sunny afternoon. As the summer comes to an end, I had to squeeze in at least one more Saturday of Public Market browsing, by-the-water sitting, and of course, ice cream and fish + chips eating… and it was every bit as great as I anticipated it to be. Hope you had a great weekend! Oh Jen, this outfit is so cute! Those shoes are so edgy! I love this look! It’s so cute. Granville Island looks like a beautiful place to spend weekends. 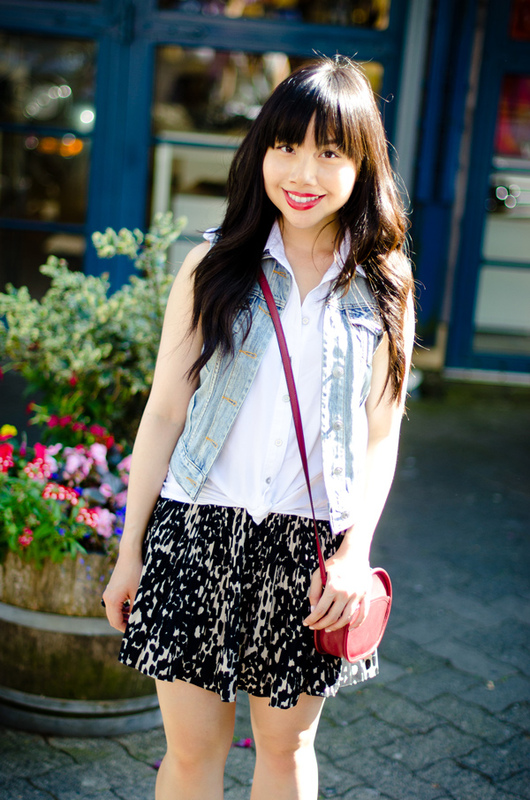 Love the skirt, is super flirty! 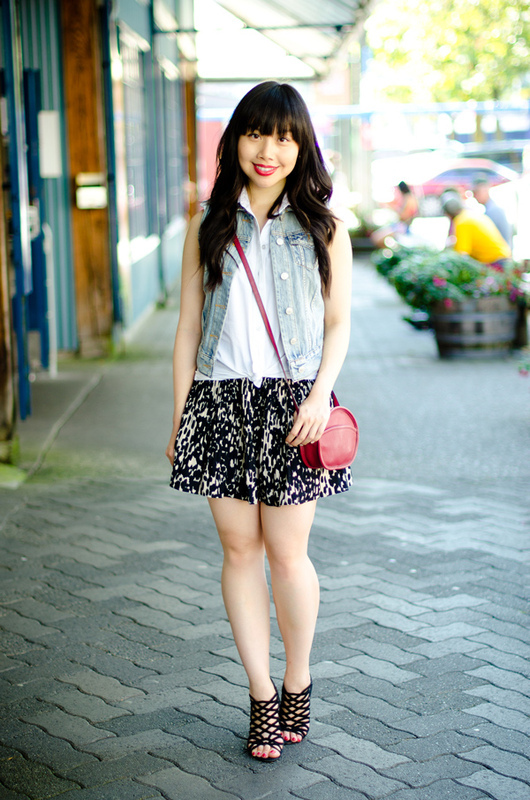 Is great how the denim vest adds a casual mood to the look. such a cute outfit! did you end up seeing the wooden boats down at the marina there? they were so neat to look at the craftsmanship that goes into one! i love granville island. the public market is always a favorite. 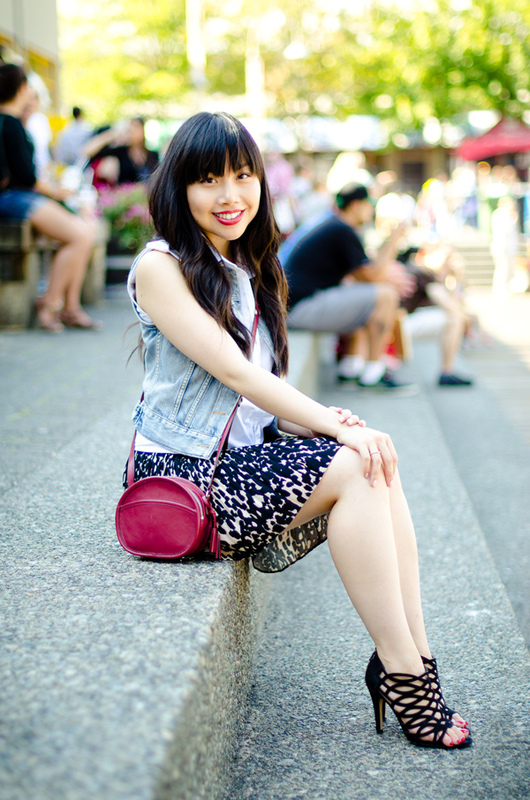 I haven’t been to Granville Island market in so long, but I absolutely love it there! Especially all of the amazing food!! Mmmm! 😉 And your outfit is just dreamy Jen, love it so much!